ALIEN VS. PREDATOR. Alien and Predator are playing the game of all games - chess. Who do tu think will win?. HD Wallpaper and background images in the misceláneo club tagged: alien predator chess funny. 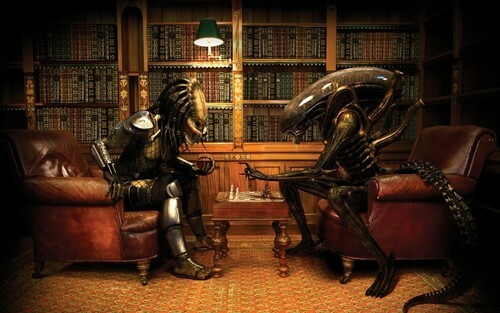 Alien and Predator are playing the game of all games - chess. Who do tu think will win? This misceláneo wallpaper contains sala de lectura. There might also be salón, sala de estar, sala de dibujo, cuarto familiar, habitación familiar, sala de estar, salón, sala, living comedor, and habitación frente.